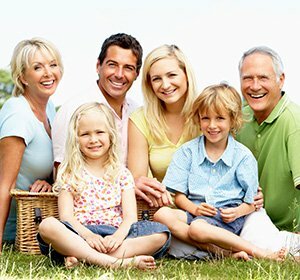 In the Lansdale, Montgomeryville and North Penn area, Black and Bass Cosmetic and Family Dentistry is your family dentistry and general dentistry dental team of choice! Why? Because we offer great dental care and a fabulous dental team! We care about you as an individual and we make sure your needs are met. You will love our homey atmosphere and comfortable office in Lansdale. We all know all of our Montgomeryville and North Penn area patients by name, and people feel comfortable at Black and Bass Cosmetic and Family Dentistry – we hold their hand through the process and make it easy for them. Many people comment on how painless injections are. The doctors have been trained at the prestigious Las Vegas Institute (LVI). TEETH CLEANING | During your general dentistry check ups at our location near North Penn, we will clean your teeth to make sure your dental health is all it can be. DENTAL HYGIENE | A clean smile is a happy smile. We will do all we can to make sure your dental health is optimum and your smile is clean and bright. PREVENTATIVE CARE | Our Montgomeryville team partners with you to make sure your dental health is all it can be. Preventing dental problems and a dental emergency is much easier than the procedures required to bring your dental health up to excellent. DENTAL FILLINGS | We offer tooth-colored, non-metal dental fillings. Not only are tooth-colored fillings an excellent, healthier general dentistry option for patients from the Montgomeryville and North Penn areas, they are more attractive than traditional metal fillings. DENTAL SEALANTS | This family dentistry procedure can help your children in their battle against cavities. We paint dental sealants on children’s back teeth, where it’s hard to brush, to help prevent cavities. This can ensure better dental health throughout your child’s young life. PERIODONTAL DISEASE TREATMENT | Good dental health is essential, so one of the general dentistry procedures we offer is periodontal disease treatment. Gum disease is far more prevalent than most people realize and untreated can result in tooth loss. ROOT CANALS | If you have a toothache, or think you might need a root canal, we offer this general dentistry procedure. Surprisingly, this general dentistry procedure is probably less painful than the toothache, so don’t delay in calling us! Schedule a General or Family Dentistry Appointment in Lansdale Now! If you are looking for a general dentistry or family dentistry dental health team, call, text, or contact us using the form on this page! Black & Bass Cosmetic and Family Dentistry would love to be the dental home for you and your loved ones from the Lansdale, Montgomeryville, North Penn and surrounding communities!